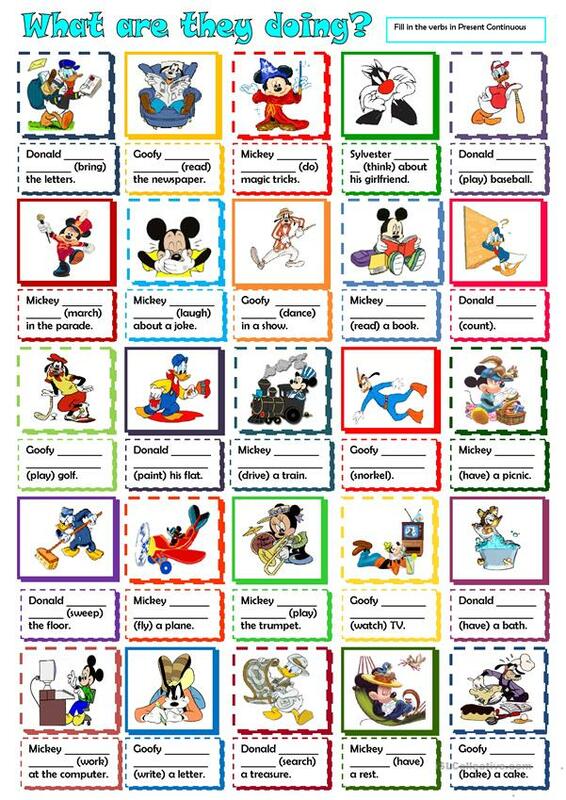 Present Continuous with Disney characters. Fill in the verbs in the right form. The above downloadable teaching material is a great resource for high school students and elementary school students at Pre-intermediate (A2) and Intermediate (B1) level. It is aimed at revising Present continuous (progressive) tense in English, and is a valuable material for enhancing your students' Writing skills.